INDIANAPOLIS -- The State of Indiana Budget Committee approved Tuesday two high priority capital projects on Indiana State University's campus. 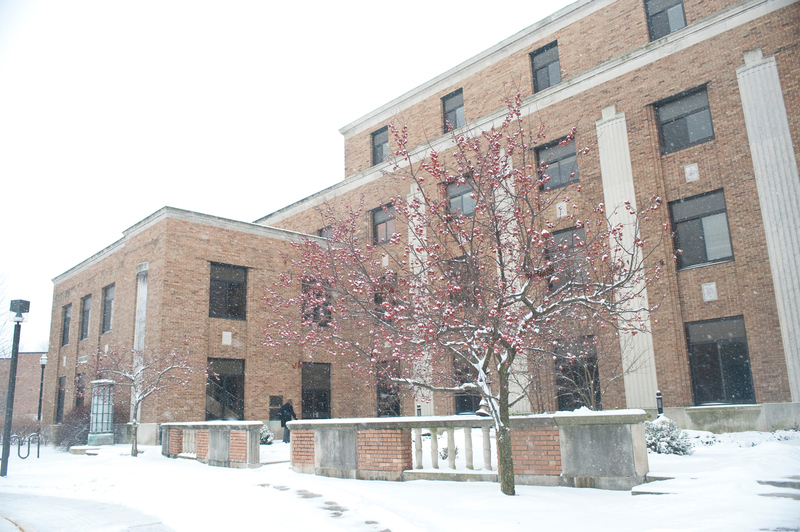 In a unanimous and bi-partisan vote, members of the Budget Committee approved the release of a $15 million cash appropriation for the Fine Arts and Commerce Building renovation. The facility is a university priority and was included in the 2017 budget bill that passed the legislature and was signed into law by Gov. Eric Holcomb. State law requires approval from the Indiana Commission for Higher Education and the Budget Committee before state funding is released. The Higher Education Commission approved the project in December 2017. The Budget Committee also approved the university's request to proceed with the Sycamore Towers Dining renovation, a project funded with non-state funding. "This is another great day for Indiana State University, and we are deeply grateful to our state leaders for believing in ISU," said Deborah Curtis, president of Indiana State. "These projects have been top priorities as part of the university's master plan which helps us project the facilities needed to carry out our critical mission of serving the citizens of the state of Indiana." The academic-facility renovation of the 1940's-era Fine Arts building will replace critical mechanical and electrical systems that have become obsolete and thereby improve temperature control, enhance air quality and access to technology. Interior spaces will also be reconfigured to improve building egress and accessibility and enhance instructional capabilities. Sycamore Towers Dining is one of two dining facilities on campus, with the other being located in the Lincoln Quadrangle. This project is the final component in the renovation of the four-tower complex of Mills, Blumberg, Cromwell and Rhoads halls. Construction on Rhoads is wrapping up this summer and will be ready for occupancy in August. Approximately 35,000 square feet of dining space will be renovated to provide for more efficient food service operations, improve the thermal envelope of the facades, replace roof and insulation, provide new restroom facilities and universal accessibility to the existing floor levels. Additionally, the facility will be expanded to the west by 5,000 square feet to make room for a record-breaking number of Sycamores. In a unanimous and bi-partisan vote, members of the Budget Committee approved the release of a $15 million cash appropriation for the Fine Arts and Commerce Building renovation. They also OK'd State's request to renovate Sycamore Towers Dining.